We’ve sung the praises of the Dodgers’ depth ad nauseam on this weblog. The Dodgers are the deepest team in baseball and have been for going on three years now. As Spring Training begins for 2018, though, the starting rotation depth isn’t as plentiful as it was in previous years. Some of it by their own doing, some of it is part of the plan. Ten legitimate MLB-level starting pitchers. That’s not too shabby. McCarthy has since been traded (along with Scott Kazmir), but everyone else is still around, save Darvish. Darvish would have made the Dodgers’ rotation even deeper than it already is, but the Dodgers didn’t really come close to the 6-year, $126 million deal he got from the Cubs. They were more in the neighborhood of $100 million. A lot of money, but not enough to land the premiere starter on the market. And while there are still some starting pitchers left on the market, the Dodgers probably won’t be signing any of them, despite the depth being tainted a bit with injury concerns. This comes to mind because on the second day of Spring Training, this happened. Alex Wood is getting an X-ray on his right ankle. He will not participate in workouts today. Thankfully, it didn’t seem too serious. The X-ray on Alex Wood’s ankle showed only inflammation. He threw today and plans to throw his bullpen tomorrow. Good news, but it still underscores how fragile the rotation depth actually is at present considering the rotation’s injury history. No Dodger starter logged more than 175 innings last season — the one who did was Kershaw, who missed five weeks with a back injury. That’s two years in a row for him, so keep an eye on that. Wood logged 152 1/3 innings, but his second half wasn’t nearly as impressive as his first half because of injury and declined velocity. Hill’s 135 2/3 innings were the second-most of his career and only the third time he’s logged more than 100 innings. There’s also the blister issue that, admittedly, wasn’t much of a concern after the first couple months of the season. Maeda’s second year (134 1/3 innings) in the majors wasn’t as good as his first and Ryu’s first year back from missing basically two years had mixed results and 126 2/3 innings. We cannot assume Kershaw is going to get to 200 innings in 2018 because he hasn’t reached that level in three of the last four seasons. Wood’s health and velocity will determine how much he pitches. Hill is 38 years old and it’s hard to count on a guy with a laundry list of health issues for 150 innings. Maeda has added weight since turning pro, but still has issues against left-handed hitters. Ryu is a wild card, but there’s no guarantee he’s going to be able to top last year’s workload. Backing up the Top 5 are Walker Buehler, Wilmer Font, (maybe) Tom Koehler, Stewart and Stripling. Buehler is a Top 15-20 prospect in the game but will be on an innings restriction in his second full season back after Tommy John surgery. 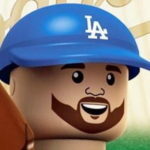 Font struggled in his Dodger debut last year, but if they need a spot-start, perhaps he’s the guy (provided he isn’t traded because he is out of minor-league options). Koehler fared much better out of the bullpen in Toronto, but he has incentives built into his contract based on games started, so he counts. Stewart was incredible (in the minors) in 2016 before struggling with health in 2017 and Stripling pitched almost exclusively out of the bullpen in 2017. The plan for Stripling is to stretch him back out so that he might be able to help in the rotation, but it’d be on a limited basis. Urias should be back at some time in 2018, but he can’t really be counted on for much because he’s coming back from major shoulder surgery and the goal for him is to be 100 percent for 2019. Dennis Santana is on the 40-man roster, but I’m not expecting him to be much of a factor for the Dodgers in ’18. Trevor Oaks would have been included, but he was traded to the Royals. The Dodgers have, technically, 12 starting pitcher options (counting Urias) on the 40-man roster. It’s an impressive number, but the quality isn’t quite what it has been in years past. But it isn’t time to panic. The Dodgers have plenty to get through the first 3-4 months of the season. What they’re going to need to do (most likely) is add a high-end arm before the trade deadline, which is something they’ve done in each of the last three years. 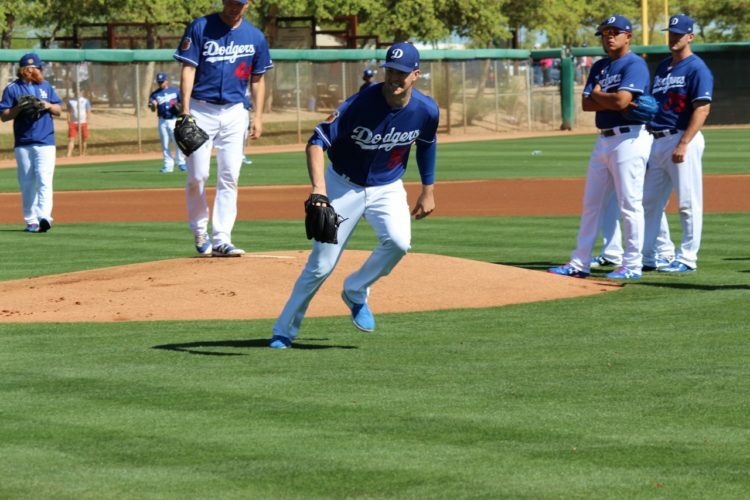 I’m not sure the Dodgers will employ some kind of 6-man rotation, but if they wanted to, they have enough arms to do so. We’ll see how liberal they are during the regular season about letting starters turn over a lineup for a third time — something that was squarely in the spotlight in the postseason.